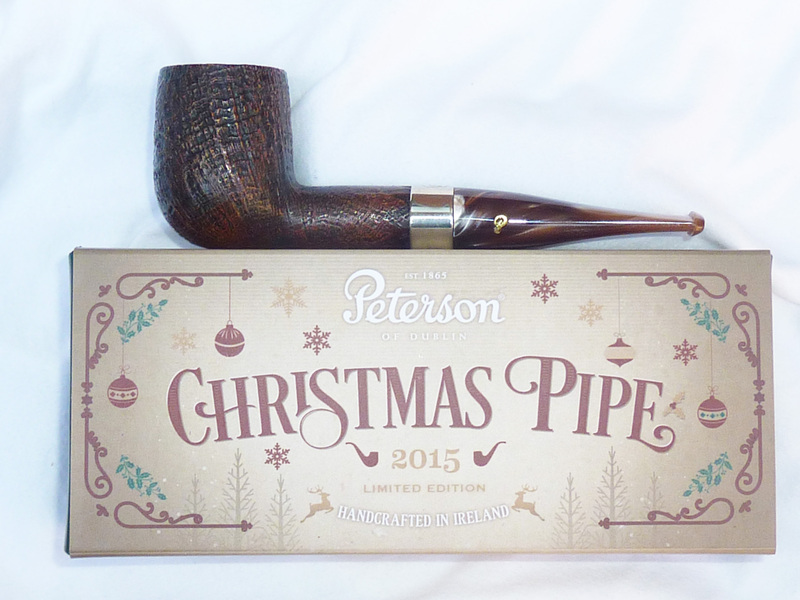 Here’s a sneak-peek at the Peterson Christmas Pipe for 2015, which should be getting to the States almsot any day now. Tony Whelan, Jr. at the factory says it will be available in 11 shapes: the 01, 03, 05, 106, 221, 408, 68, 69, 999, B10, and X105. I know that can’t be right—eleven shapes? Not twelve? Isn’t it the “twelve pipes of Christmas” and all that? Well, I’ll keep my fingers crossed. Maybe Peterson will order one of the limited B shapes from the workshop at the North Pole’s Sallynoggin Division between now and Christmas. 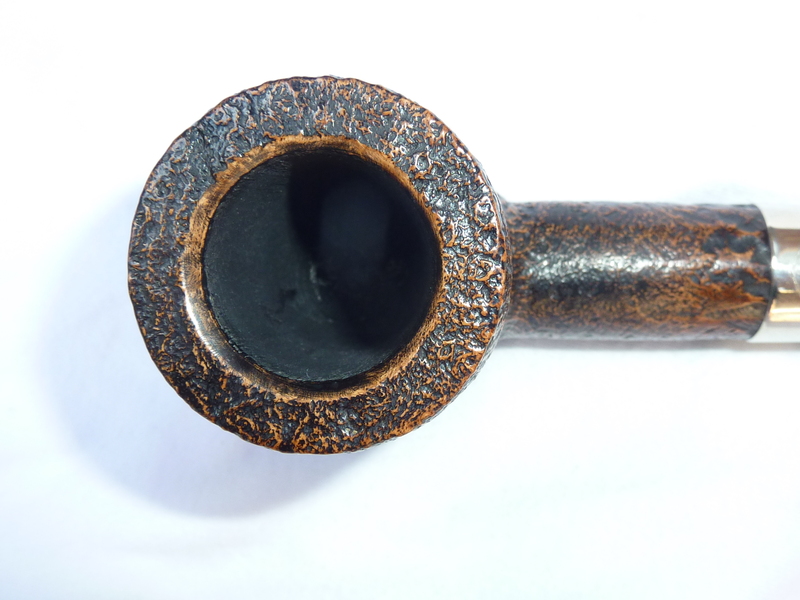 This year’s pipe has a nutmeg / gingerbread theme, elegantly understated after last year’s flamboyance, but quite welcome and expensive-looking. 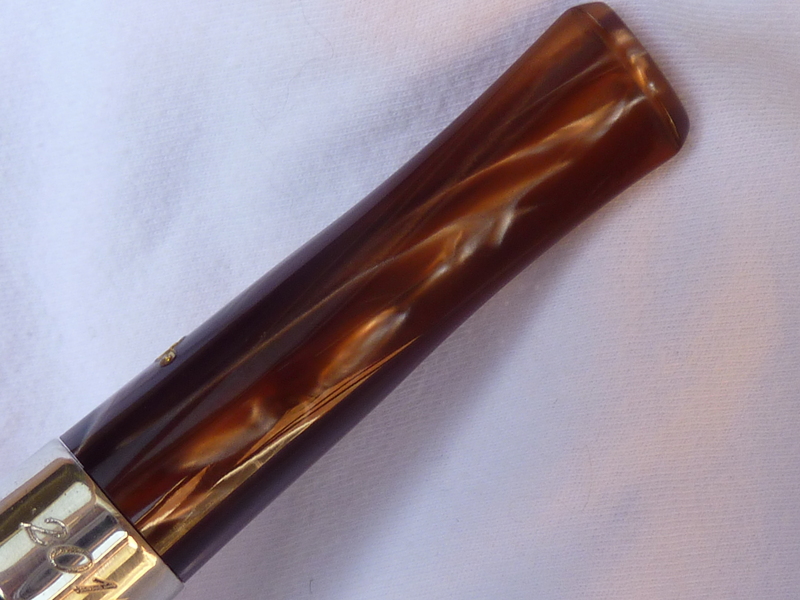 The color on the acrylic stem is wonderful, as you can see, and features a gold hot-foil “P” stamp. 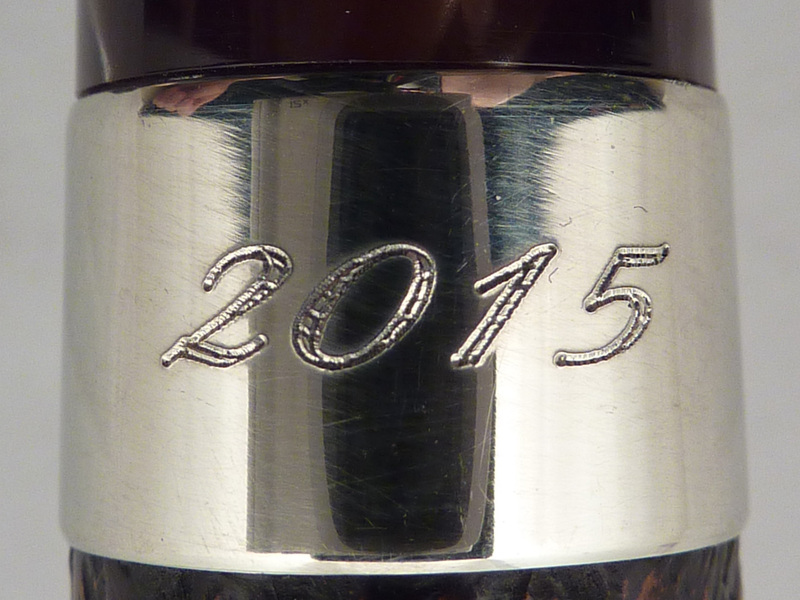 The nickel band is engraved “2015” on the underneath and features a picture of Father Christmas on top. The COM this year is done with the new laser-cutting stamp and looks very crisp on the X105 I photographed. 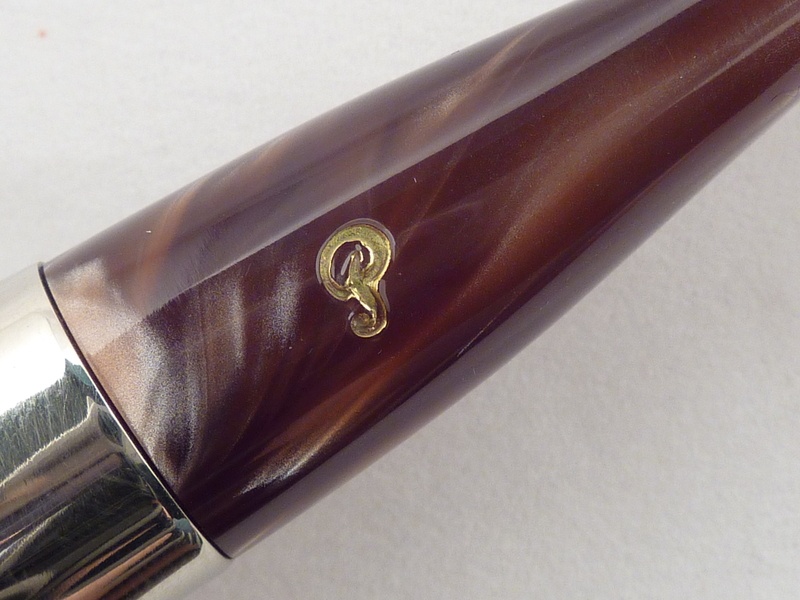 I really like the sandblast and contrast stain—very close to that produced for the Italy-only Maigret commemorative. This years look is fantastic! Whereas last years I thought the stem looked interesting, the look on the whole just didn’t do it for me. But this is right up my alley. I like the simpler understated look. 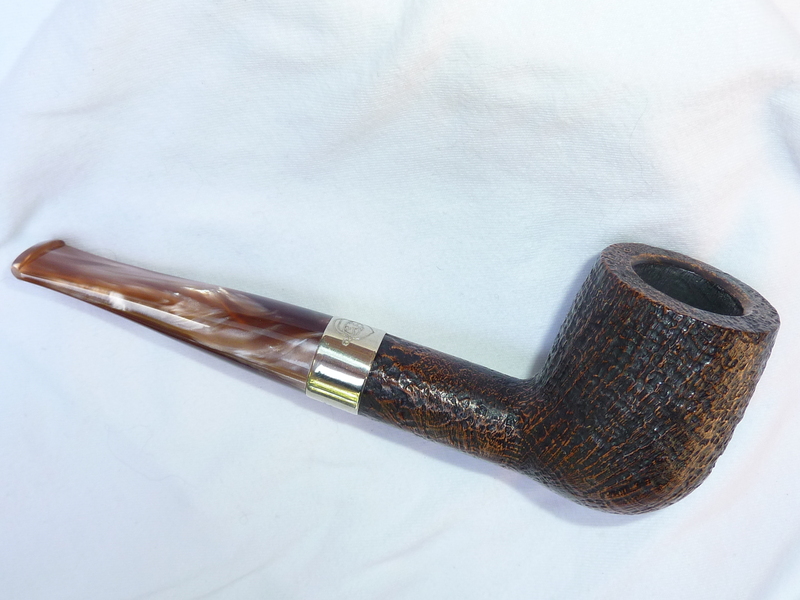 And that’s it’s called a Christmas pipe is very nice too. I hope they follow it with a Christmas blend, I have no problem with the term holiday season, but it’s wasn’t a holiday tree I saw a few years back and Santa only comes at Christmas. So let them call it what it is. Great job Peterson, and thank you ever so much for this sneak peak! I’m now sure to be a good boy, I only hope Santa (and my wife) are paying attention. That looks great I’m up for a 999 or B10. Yes, a 999 is what we need! Always look forward to Mark’s write up. I am still hoping for the day he writes and says the Peterson History book is going live! Beautiful! I love that it’s not so overtly Christmas as some of the past years. 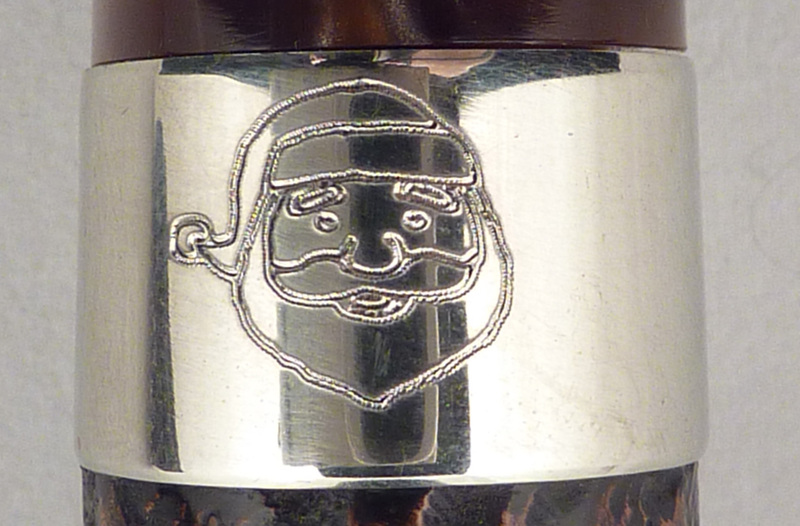 Put my finger over Santa and it could easily be a year-round pipe. Nice write up. The Pipe looks so good I ordered the Peterson 69 yesterday. Two weeks ago, I finally broke down and got the 2015 Peterson St. Patricks Day Pipe, the 220! Great Pipes, great smokers! Thanks guys!